Trezor vs. Ledger: Which is the Best Cryptocurrency Hardware Wallet? Why Choose a Hardware Wallet? For the security-minded crypto enthusiast, hardware wallets provide an extra level of protection. As cryptocurrencies move into the mainstream and criminal elements target them more actively, extra protection is a must-have. 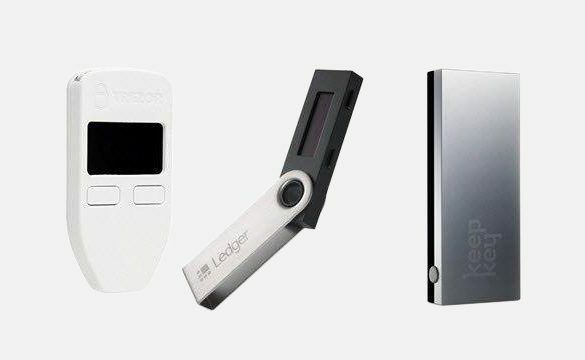 Trezor and Ledger are the two big names in the crypto hardware space, but which is better? Virtually every cryptocurrency uses the same fundamental structure as Bitcoin. There’s a public ledger of transactions – the blockchain – and each user maintains one or more wallet addresses that are like crypto bank accounts. Each wallet has a public key (the address) that, like your bank account number and branch details, is safe to share with anyone who wants to send you funds. But each wallet also has a private key that’s like your online banking password: anyone who has it controls your cryptocurrency balance. You must safeguard those keys. They’re not vulnerable: your computer, smartphone, or other connected device is vulnerable to all sorts of online attack, including viruses, malware, spoofing, phishing, and dozens of others. Hardware wallets aren’t. They can’t be hacked online: the only way to hack a hardware wallet is to steal it from the owner, then hack the chip or the firmware. That’s much riskier and more expensive for a potential hacker. They can’t be infected: online viruses and malware do not affect hardware wallets because the only things you download are firmware updates (from the manufacturer) and your crypto transactions. They keep your keys safe: you have to transmit your private keys to send crypto assets from a software wallet, but hardware wallets keep them safe. Your keys are never transmitted online, so they can’t be intercepted. You keep control: you don’t have to trust third parties with your funds, no matter how reliable their websites and online wallets look. Let’s take a look at how Trezor and Ledger (the Nano S, specifically) compare on the most important features. Ledger’s Nano S costs a little less than a Trezor wallet, though they’re both priced at around $100. Both wallets are a similar small size: the Nano S is 3.9 inches long (unfolded), the Trezor 2.4 inches. Trezor’s wider at 1.2 inches compared to 0.7 inches for the Nano S.
The Ledger is black, with a fold-out aluminum cover. Trezor is available in white, black, or gray. The Nano S looks more like a standard USB device. Although Ledger’s wallet looks smarter with its aluminum cover, Trezor’s plastic construction makes it marginally more drop-proof. Both wallets have a small, clear, easy-to-read screen and buttons to control menu options. Ledger also produces a tiny chip version of their wallet, called the HW.1, which retails at around $20. It’s small enough to fit on your keychain and has limited wallet capacity but offers the same functionality via a Google Chrome app. 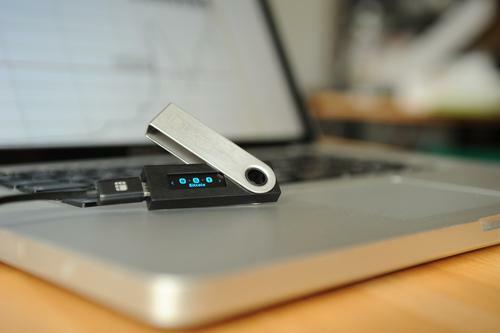 The Ledger Nano S supports 24 coins: Bitcoin (plus Cash and Gold), Ethereum (and Classic), Litecoin, Dogecoin, Zcash, Ripple, DASH, Stratis, Komodo, Ark, Expanse, Ubiq, Vertcoin, Viacoin, NEO, Stealthcoin, Stellar, Hcash, Digibyte, Qtum, and PivX . It offers a native interface for all but five. 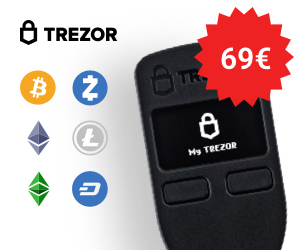 Trezor supports 15 coins: Bitcoin (plus Cash and Gold), Ethereum (and Classic), Litecoin, Dogecoin, Zcash, DASH, Expanse, Ubiq, NEM, Namecoin, and the Bitcoin testnet. However, the device only offers a native wallet for the Bitcoin variations, Litecoin, DASH and Zcash – six in total. Users must manage their other coins and tokens using third-party sites and apps. Both devices support all ERC-20 tokens. 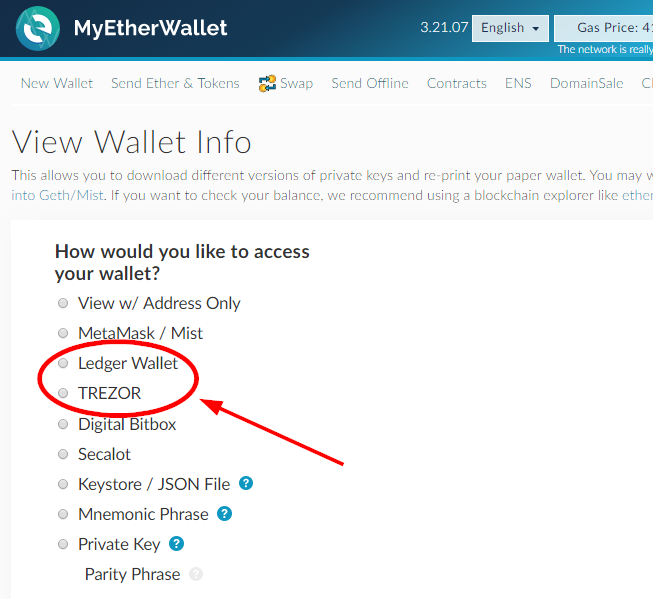 Trezor leverages MyEtherWallet to manage them; you must add each unlisted token manually to the Ledger device. Both wallets can generate private keys internally for supported coins, or they can import a seed for an existing wallet. Both devices display a “seed phrase” when you create a new wallet. They only display the seed words on the device, one word at a time, for added security. The seed is your backup: with it, you can recreate an entire crypto wallet on a new device. Write it down and keep it somewhere very safe! Trezor uses an open-source key generation method which combines an internal random number generator with entropy from your computer. Ledger uses a closed-source AIS-31 certified true random number generator built into the chip. The debate over which is better is never-ending. They’re both very secure and neither has yet been compromised, but you can always import an existing wallet if you’re worried about either device-generated seed. Both devices use a PIN code to restrict direct access to your crypto assets. However, Trezor is more secure: it jumbles the digits on the PIN number pad so that a hacker monitoring your clicks and button presses still won’t know what you entered. The screen and buttons on both devices mean that you can set up a wallet completely securely, even if they’re plugged into a computer that’s infected with viruses and malware. The hardware wallet is still secure. Both wallets have a built-in interface and a web interface to manage your coins. The built-in interface is controlled by buttons directly on the device. Trezor’s setup is a little clunkier than the Nano S, which has a very smooth, friendly menu structure. However, the difference is minimal and familiarity soon overcomes any initial difficulty: both have clear screens and perform almost identical actions in similar ways. On the web, Trezor’s interface is friendly and easy to use, allowing you to switch coins quickly and manage your assets with clarity and speed. The device also interacts with third-party sites – notably MyEtherWallet – effectively giving you 2FA protection for coins without native support. Ledger’s web interface is a bit odd: instead of having one central site to manage your assets, you can install up to five Chrome apps, each of which manages a single coin. Uninstalling apps doesn’t remove your coin wallets, but only managing five at a time is an arbitrary limitation that can be frustrating for active crypto users. Both devices integrate with a number of websites and wallets. Trezor relies on MyEtherWallet (MEW) to manage Ethereum (and Classic), Expanse, Ubiq, and ERC-20 compliant tokens. Ledger has apps for Ethereum (and Classic) and Expanse, but also allows users to manage them through MEW, along with ERC-20 tokens. Trezor integrates with the NEM Nano wallet, ArcBit, Blockonomics, Electrum (the Bitcoin, Litecoin, and DASH variants), Etherwall, Mycelium, and Sentinel. However, not all features are available for each, so check the official site to make sure your Trezor can do what you need. 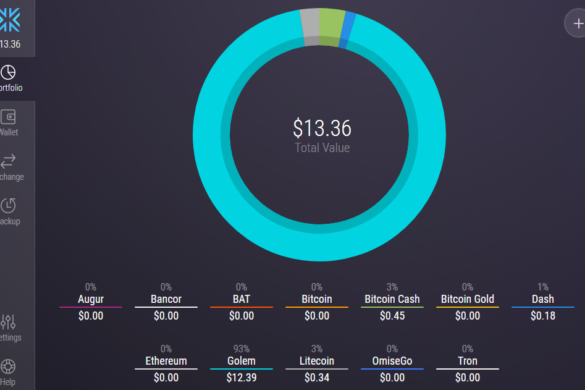 As we’ve already seen, Ledger primarily uses per-coin apps. 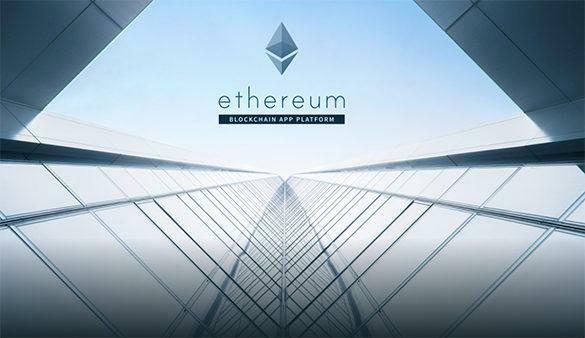 However, it also works with software wallets for Ark, Ubiq, and NEO, and the Stellar Account Viewer, Electrum, Mycelium, Greenbits, BitGo, and Copay. There are also three “Ledger Wallet” variants for Bitcoin, Ethereum, and Ripple. One of the neatest extras on the integration front is being able to use your Trezor as a login device for many major exchanges. Instead of using a login name, password, and 2FA, you can use your Trezor to access your account. Trezor sign-in works on Bitex, BitStamp, Bitwala, Coinmap, Coinpayments, Osclass, and Strip4Bit. Ledger’s response is to include BitID support, an open-source protocol for using hardware wallet logins on any website. BitID hopes one day to replace “Login with Facebook” as default security for crypto users. In the real world, “better” is an individual opinion and never objective. The truth is that both devices do a similar job and do it well. They’re both extremely secure, very reliable, durable, and easy to use. Trezor’s PIN system is slightly more secure. The Nano S has native support for more coins. 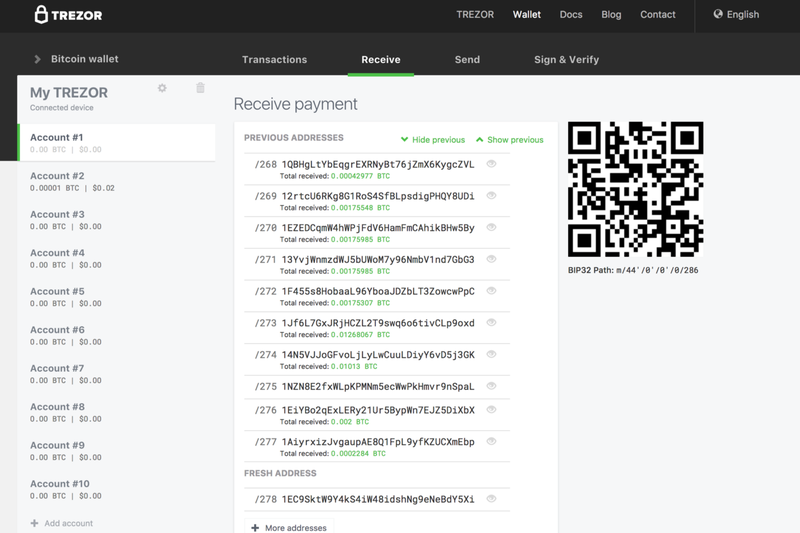 Trezor’s wallet website is friendlier. Ledger’s app-based approach is easier to extend. It’s six of one and half a dozen of the other, as the saying goes. The deciding factor at this time is, perhaps, Ledger’s reliance on Chrome apps. Since Google plans to discontinue Chrome apps in June 2018, there’s some concern over what the replacement system will look like, what coins it will support, and how Ledger will handle the switch. However, even that’s not a major worry as the company consistently produces reliable solutions. In the end, both devices are solid, reliable contenders and your choice will almost certainly come down to personal preference.